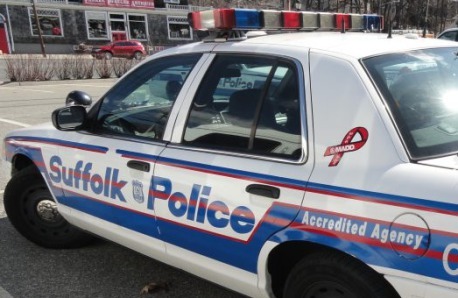 The following information was culled from the Suffolk County Police Department’s automated reporting and arrest database. Police responded to a criminal mischief call on July 21. According to police a resident on Mt. Rainier Avenue called 911 at around 6:30 p.m. to report that an unknown subject threw an unknown substance into the open window of his 1994 Honda Accord. Police answered a criminal mischief call at Public Storage on Horseblock Road at around 6 a.m. on July 18. According to police an unknown subject entered the fenced in property of the storage company and cut off the lock to a storage unit. The suspect took the items inside the bin, but it was unclear what items were taken. Police responded to a criminal mischief call on July 17 at around 11 p.m. According to police a resident on Adirondack Drive called 911 to report that an unknown individual scratched the passenger door and broke the side view mirror on her 2003 Toyota Corolla. Police answered a harassment call on July 19. According to police a landlord at a residence on South Howell Avenue called 911 at around 5:30 p.m. to report that his tenant had come out of the house and confronted him with threats. The landlord also claimed that the tenant shoved him. No arrest was made. Lianna Hughes-Rivera, of Farmingville, was arrested in Patchogue on July 20 for 1st-degree robbery with use of a dangerous instrument in a case Patch reported on earlier this week.